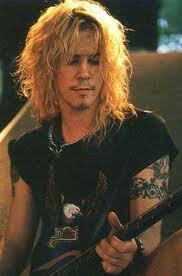 Duff McKagan, the bassist of Guns n' Roses, apparently underwent sinus surgery back in December 2010. According to media reports, his sinus cavities developed significant scar tissue due to years of cocaine abuse. Sinus surgery due to scar tissue is a relatively rare indication for surgery, but required if they block sinus cavities leading to recurrent sinus infections. Cocaine abuse more typically causes other sino-nasal abnormalities especially septal perforation. Exactly what type of sinus surgery Duff McKagan underwent is unclear, but for sinus scar tissue, balloon sinuplasty is typically the route taken and can be performed in the office. Balloon sinuplasty is when the sinus openings are enlarged using a balloon and can potentially be performed in the office assuming no anatomic contraindications (significant deviated septum, nasal polyps, etc). However, before sinus surgery is considered in a patient who is suffering from recurrent sinus infections whether scar tissue is present or not, a workup is typically required followed by maximal medical management. A typical workup includes a CT sinus scan, allergy testing, and nasal endoscopy. If allergy testing is significant, aggressive allergy management is required prior to surgical consideration. Depending on the CT scan and endoscopic findings, there are two "flavors" of sinus surgery: traditional and balloon sinuplasty. Traditional sinus surgery, otherwise known as functional endoscopic sinus surgery, is when all sinus disease is physically removed endoscopically from the nose and sinus entrances are enlarged.